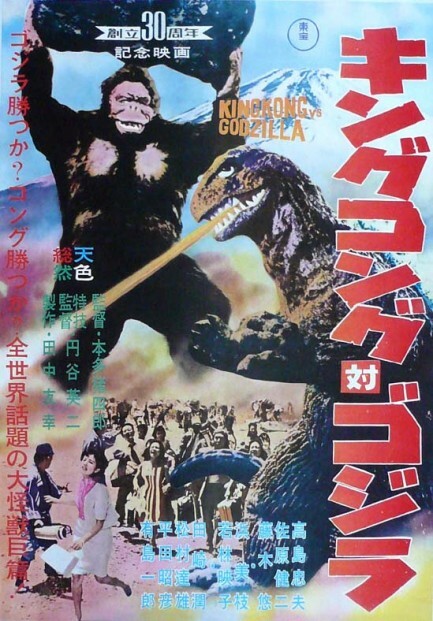 King Kong vs Godzilla (1962) – SKREEONK! A Battle for the Ages. Two Kings of Pop Culture – Who will take the Crown? A true classic. One of Toho’s finest films ever made, and one of the most well known endeavors in all of science fiction history, King Kong vs Godzilla (キングコング対ゴジラ Kingu Kongu Tai Gojira) was a critical and financial triumph of its day. 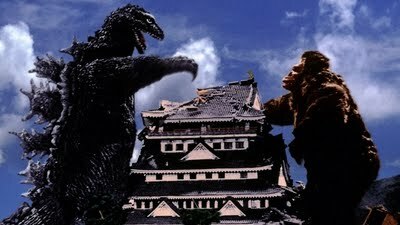 King Kong Vs Godzilla” marks the third entry in the long running Godzilla franchise of films and features the greatest monster of the East vs the greatest monster of the West in one of the most memorable match ups in Kaiju history, one that fans even to this day DEMAND to see a rematch! 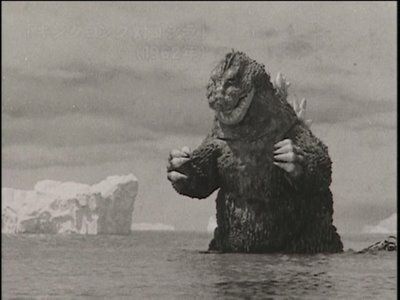 The film takes place after the events of “Godzilla Raids Again,” the Big G escaping from his icy imprisonment in a very impressive and menacing display of power early in the film and makes his way back to Japan after taking out a submarine and an army base. Meanwhile, a greedy and outfight foolish businessman dispatches two of his best employees to far away Faroh Island to find him his very own monster as part of a publicity stunt (apparently he’s jealous of the attention Godzilla receives during his rampage across the countryside), and the hapless pair of course find King Kong much to their surprise. At their boss’s request they end up bringing Kong back with them to Japan, or rather they bring him close enough to Japanese shores for Kong to swim there on his own after they fail to blow him up at the government’s request. Though not the first time Godzilla would face another monster in battle, King Kong vs Godzilla marks the beginning of the “Vs” trend in the franchise, the epic showdown between the two is quite memorable. Throughout the movie we hear commentaries by experts who explain the strengths and weaknesses of the two combatants and how they match up against each other, almost like comparing two heavy weight fighters before a championship match, which serves to make things more interesting & make you weigh all the variables that could come into play during the battle. Godzilla features a new, more reptilian look minus the fangs, ears, and fourth toe on each foot from the first two Goji movies, a look that would only be used once during the Showa era but which would influence the designs of suits used later on during the Millennium series decades later. Kong’s size was drastically increased from how he was originally depicted so that he’d actually be a match for Godzilla, and while the suit design isn’t all that impressive or fearsome compared to Godzilla’s, it still serves its purpose and doesn’t make the monster scenes any less enjoyable. The film is more lighthearted than the previous Godzilla films as are the characters who get caught up in the middle of all the monster madness that ensues, but that’s just fine and it doesn’t take away from the danger posed by the Kaiju. 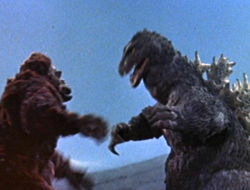 However, there is the odd inconsistency of how Godzilla is now vulnerable to electric current when he was unfazed by it during his earlier depictions, and even stranger still, Kong possesses the ability to draw strength from electricity and even shock his enemies during battle by channeling it through his arms while grappling. 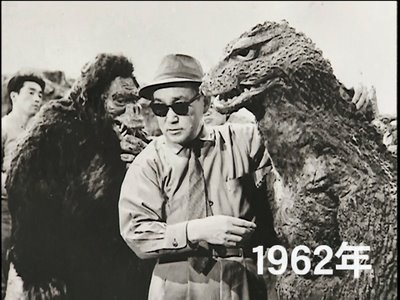 Apparently Toho had originally meant for Godzilla to fight the Frankenstein Monster but swapped him out for Kong instead, so the electrical abilities stem from that, but still, it is never properly explained how Kong’s affinity for electricity was discovered in story and Godzilla’s weakness towards electricity is never depicted again in later movies, Goji actually drawing power FROM electricity in a few sequels. Still, in spite of it all, it seems only fair for a giant ape to possess an electric grip if he’s gotta trade blows with a radioactive dinosaur with atomic breath, right? 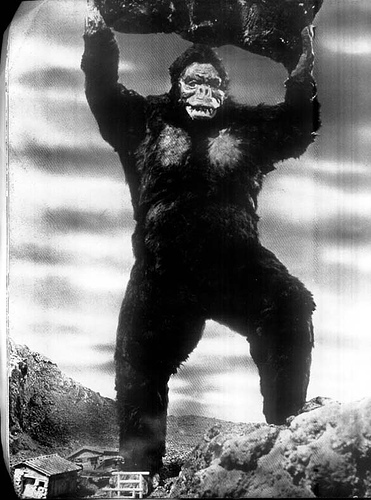 To top it all off, the musical scores for this film are simply phenomenal and help to convey the mood of each scene, such as Kong’s confusion after facing Godzilla’s heat ray for the first time or the horrified reactions of those who bear witness to Kong’s survival after the attempt to blow him up with dynamite fails. If you’re looking for a good time with lots of laughs and major monster melees, “King Kong vs Godzilla” will not disappoint you. Posted on September 4, 2011 7 By Jon D. B.	Kaiju Movie Reviews! Posted in Kaiju Movie Reviews!, Toho Movie Reviews! Pingback: Mothra (1961) « SKREEONK! Pingback: Kyle Chandler To Reunite With Giants in GODZILLA: KING OF MONSTERS! – SKREEONK! Pingback: How Is KONG: SKULL ISLAND’s Box Office Shaping Up And How Does It Compare To GODZILLA’s? – SKREEONK! Pingback: GODZILLA vs KONG Begins Filming: First Look at Stars Suited Up as MONARCH Agents! SYNOPSIS Revealed! – SKREEONK!